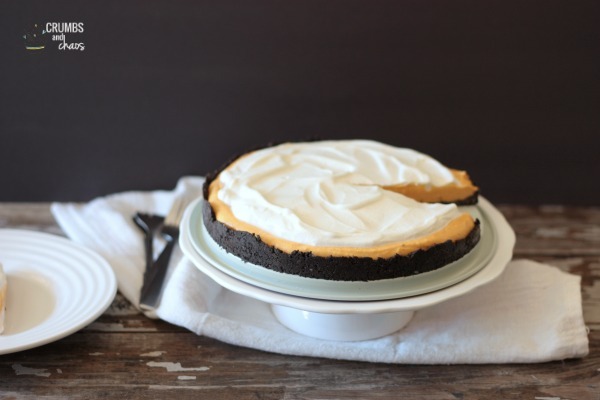 Because pumpkin and chocolate make a terrific pair, Pumpkin Cream Tart with Oreo Crust is the perfect no bake dessert for fall! Pumpkin crazy is what I’ve always been. 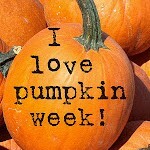 I know some people could care less about pumpkin everything, but I am not one of those people. When the calendar strikes September, I start cracking open cans of pumpkin puree like it’s going out of style. Who remembers a few years back when there actually was a pumpkin shortage? 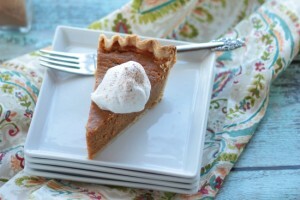 That left me always wanting to keep several cans of pumpkin in the pantry no matter what season it is. Because muffins, ice cream and pie. 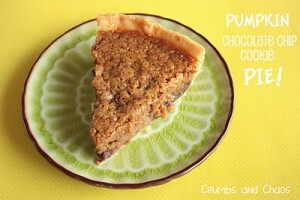 This purdy little tart is a recipe I’m bringing out of the archives. 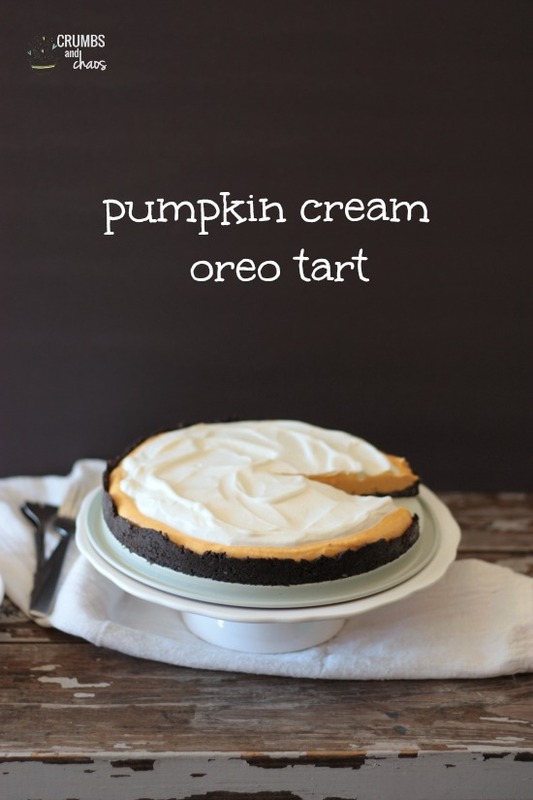 The combination of Oreo cookie crust, creamy pumpkin filling and luxurious whipped cream topping is heaven on a plate. It’s no bake, make ahead dream of a dessert that will impress every single time. Yep, you can do this. 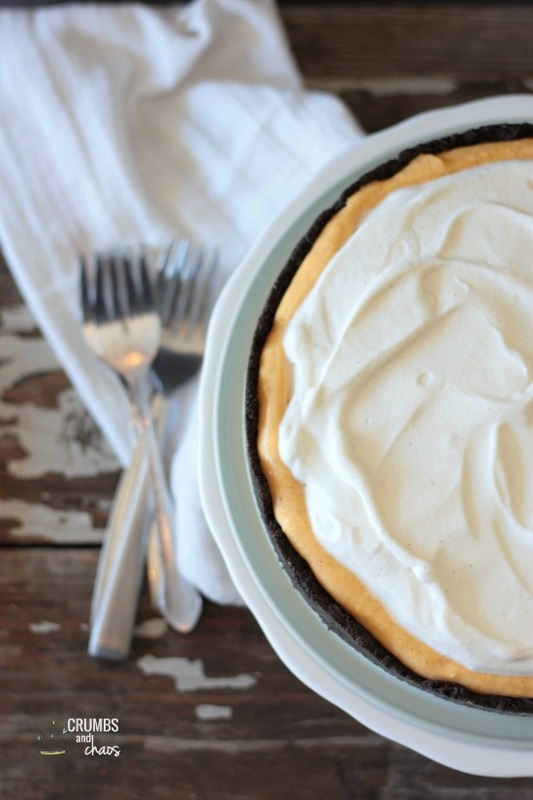 In fact, you must make this at least once this season…for the love of pumpkin. In a food processor, grind cookies into fine crumbs. Pour in melted butter and pulse to mix. Spoon mixture into 9 inch springform pan (or a pie plate). Press mixture down and up the sides of the pan (I used a spoon for this). Place in refrigerator. 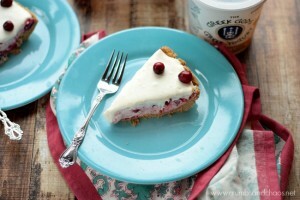 In a large bowl, whip cream cheese until smooth, scrape down the sides of the bowl and whip again. 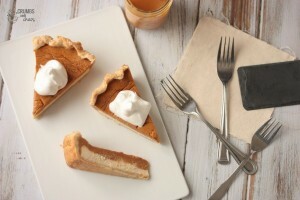 Stir in pumpkin puree, sugar, vanilla and spices. Whip 1 minute on high, scrape down the sides and mix again another 15 seconds or so until smooth. 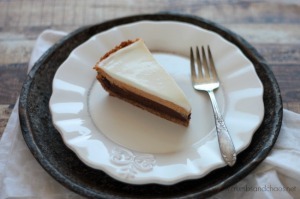 Pour into crust, smooth top with spatula and return to refrigerator. Whip cream with sugar and vanilla until stiff peaks form. Spread on top of filling layer. Store in fridge until ready to serve.